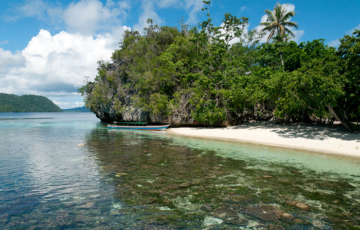 One of the few ‘real’ homestays, Ibu Ety and Pak Daniel offer warm Papuan hospitality, fabulous snorkelling, and the secret attractions of wild Aljui Bay. 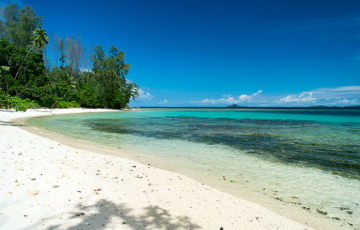 True adventure travel: Beautiful family bungalows on a pristine, uninhabited beach, surrounded by coral-fringed isands and the wilds of remote West Waigeo. 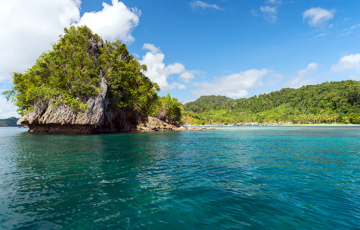 Central to West Waigeo’s wonders, with a rich house reef, private and family bungalows, and a splendid remote island setting at the entrance to Aljui Bay. Want to get off the beaten track? Private bungalows in a beautiful and secluded bay in the midst of West Waigeo’s spectacular, fiordlike seascape. Perfect.